Your natural health practitioner uses a range of testing to assess your health issues. These tests may be carried out in house or at a pathology laboratory. The results can then be tracked to ensure the changes you are making to your diet and lifestyle and the supplementation you are taking are moving your health profile in the direction of wellness. 100% safe & pain-free! ‘Hotspots’ find the problems that other tests miss – they act as a ‘body map’ to help guide your treatment plan. How can an infrared scan help me? Infrared images act like a ‘body map’, showing your hot and cold spots. These indicate trouble zones – pain, inflammation, abnormal function, infection, injury, nerve problems and suspicious areas in soft tissue. It may confirm your pain when other tests have been inconclusive. Can be used by anyone of any age at any time – particularly if other tests are not suitable. Are you absorbing the nutrients your body needs to keep you well? Are you uncomfortable after eating? Bloating, indigestion, constipation, acid reflux, diarrhoea, burping, and wind are unpleasant symptoms but can indicate a problem with your digestive system. If so you may have an underactive thyroid gland – even if you have had ‘normal’ blood test results (65 -70% accuracy) from your GP. Hormones are chemical messengers in our body that affect our brain, heart, bones, muscles, and reproductive organs and are an essential part of the workings of every cell in the human body. 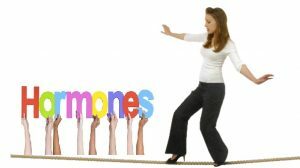 Hormones work best when balanced.